The answer to the above question is an emphatic no. At the heart of the Mediterranean diet is extra virgin olive oil. But, unlike much of oil consumed in New Zealand, the olive oil consumed in the Mediterranean countries is freshly produced, and this is thought to be the key to its success. Fresh extra virgin olive oil is unoxidised, has a great taste and is full of natural antioxidants such as polyphenols, vitamin E and squalene. Whilst the role of antioxidants in our diet has not been fully explained, there is no doubt diets full of a wide range of natural extracts from fruits and vegetables, such as fresh olives, provides a healthy regime for all ethnic groups. Sadly for New Zealand however, the major olive oil exporting countries, such as Italy and Spain, do not export their best and freshest extra virgin oils. These are reserved for their domestic populations who are much more discerning than non-traditional olive oil consumers. Only 10% of the total oil produced is finest extra virgin and the rest is downgraded, blended or refined to remove the oxidised and poor flavour components of degraded oil. This oil, with no natural antioxidants, is bottled in clear bottles, allowing light to degrade it further, and exported to countries such as New Zealand. New Zealand has, unfortunately, opted out of the proposed Australasian standard due to the fact retailers do not wish to change their labelling of refined oils (with no antioxidants). Over the years, we have become accustomed to the bland and light coloured oils represented by these refined grades. While such oils are fine for general use in cooking, they are often oxidised (in clear glass bottles) and past their best, so offer little nutritional benefit. Their ‘healthy’ reputation has been built erroneously on the back of scientific work done on extra virgin olive oil and is therefore totally unjustified. It is no surprise consumers are confused by the myriad of oils and terms appearing on the supermarket shelves. We thought help was at hand, but sadly only those across the Tasman are going to benefit. A new standard is being introduced by Standards Australia for all ‘traded’ olive and olive-pomace oils, both locally produced and imported. (d) lists acceptable methods of analysis. The labelling on each container of oil will indicate the specific designation of the product contained, complying in every way with the relevant provisions of the standard. Operators have to ensure the name of the food and the ‘overall impression of the food’ are consistent with the nature of the food in compliance with the Australia New Zealand Food Standards Code (Standard 1.2). Indications shown on the label should not mislead consumers. This relates in particular to the characteristics of the oil concerned or by attributing to it properties it doesn’t possess, or by suggesting it possesses special characteristics where those characteristics are common to most oils. The new standard should be in place in Australia by the end of June 2011 and will mean the end of misleading terms such as ’Pure’ and ’Light’ within two years. Whilst the new standard is not mandatory, if the label appears deceptive traders could be prosecuted under the Fair Trading Act. So, returning to my original question, not all olive oils are the same. The best olive oil from a nutritional point of view is the freshest extra virgin oil you can find. This is, by virtue of our geographical position, usually New Zealand-produced oil which, if certified by Olives New Zealand, has a low acidity, low levels of oxidation and retains the high levels of natural antioxidants found in the olive fruit. This is the highest grade of olive oil with a free fatty acid level of below 0.8%, produced through the physical pressing of olives. Like extra virgin olive oil, virgin oils have also been produced without any chemical treatment, but have a slightly higher acidity. Refined olive oils are those made from natural oils, but through a chemical process. These are blends made from refined and natural olive oils, with a slightly higher acidity than refined olive oil. This oil is produced from the residue left from the mechanical pressing of olives. 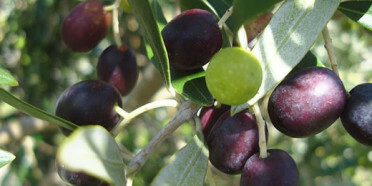 It is the lowest grade of edible olive oil. Pure olive oil is actually a blend of extra virgin or virgin olive oil and refined olive oils, so not as ‘pure’ as the title suggests. It is used mainly when extracted olive oil is of poor quality and the refining process helps to give it a better flavour. This is certainly not a low calorie option, as the name might imply. It has the same calories or energy as all other oils. It is simply termed ‘light’ because it is light in colour.